No replica posts today. I haven’t had a chance to take any photos – good or bad – since work started up again on Wednesday. Classes begin on Monday so the last few days have been a blur of meetings, professional developments, and getting things ready for class. Instead, I am posting a list of some replicas I plan to make myself. Two of my New Year’s resolutions are to 1) spend less money and 2) sew more non-cosplay related items that I can actually wear. Here are the items I plan on making if the chance and time permits. Hermione wore this red number to Bill and Fleur’s wedding. It is normally not a dress I would wear myself, but I had a lot of red satin from a cosplay I never finished, and I got matching red chiffon for a good price. I already have everything I need for this one except beads, which is put on afterwards anyway. Though I don’t plan on wearing this much, it would be nice to have for any special occasion that arises. This is one of the first items in Deathly Hallows I absolutely loved. The only problem is I haven’t been able to find the proper knit fabric. I am still looking but haven’t found anything so far. I actually want to try to make the movie version and the book version. The movie version is something I could probably wear to work and on special occasions. The book version is described as ice blue dupioni, which is an expensive fabric, so that will be more of a special occasion dress. The book version is also going to take more time to figure out since it isn’t really described. I actually want to make a lot of Bella’s vampire wardrobe. 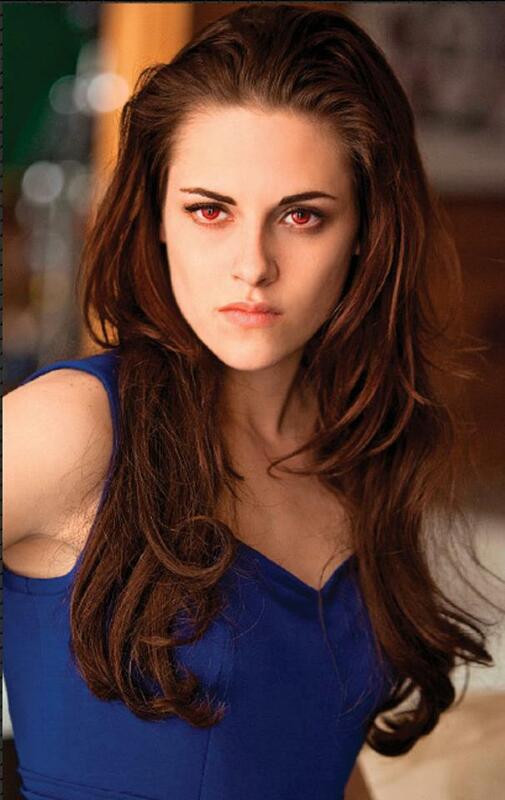 Human Bella’s wardrobe is more my style, but I love vampire Bella’s style and darker, more subtle colors. I just wish my body was more to my liking to fit the style. My Tolkien fan side is being aroused again with the release of the Hobbit. 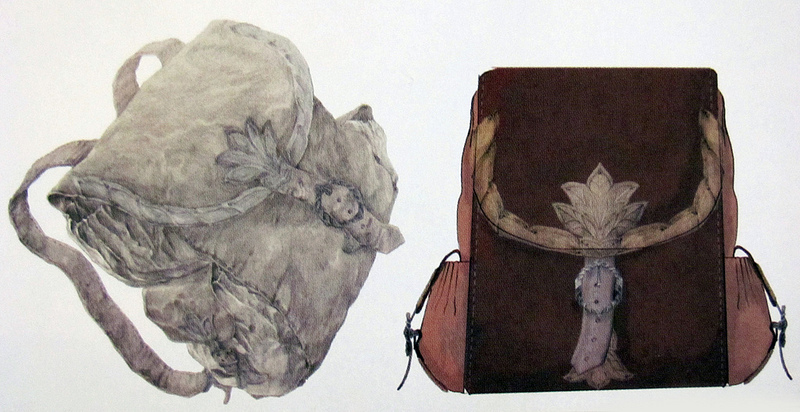 One of things I really want is Bilbo’s backpack that he carried up until the goblin capture. I can’t make an exact replica unfortunately. I’ve been having difficulty finding buckles that are similar without having to get them custom made, which will be expensive since they require molding/sculpting and casting (not to mention I’ll need at least 5 of them in 3 different sizes). Also, I believe Bilbo’s backpack was made of leather/suede but the most my machine can handle is suede like upholstery fabric (and that can get pricey as well). I am also planning a messenger style version as an alternate since I much prefer messenger bags. My fascination with BBC’s Sherlock and Martin Freeman’s portrayal of Dr. John Watson had me scouring the net or anything related to the series I could find. Alas there is no official merchandise, and since Sherlock and John are both men I can’t purchase their clothing replicas. 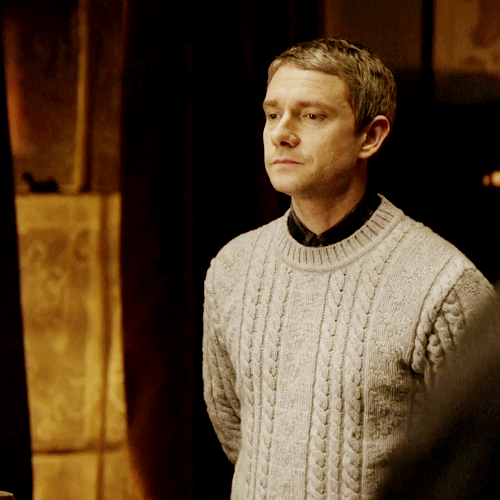 But John’s sweaters (jumpers on the UK) seem to have become popular with the knitters on Ravelry. This is on my list of knitting projects once my current queue of four sweaters is finished. Currently I have two replica knitting projects on needles. I’ve been working on them since October and am only about halfway finished. I knit slowly and then got busy with work and generally lazy over the winter break. Now I’m trying to finish them before beginning anymore projects, or buying anymore yarn. 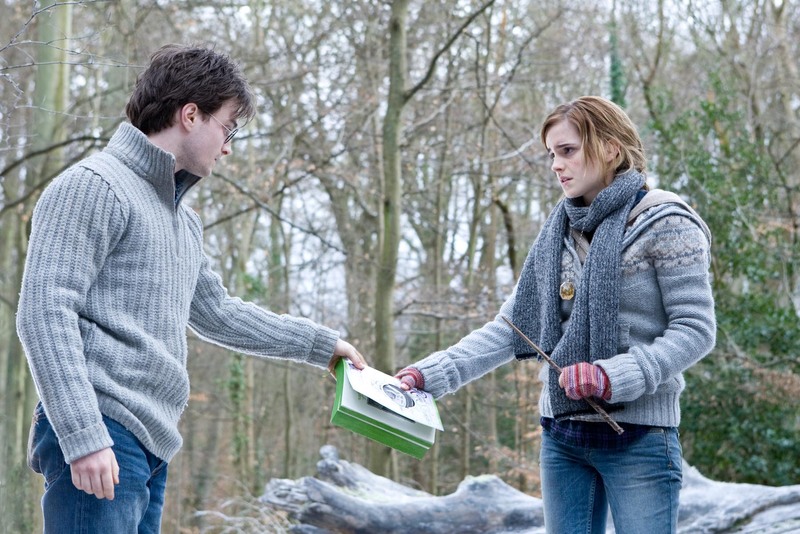 One of the two sweaters is Hermione’s striped sweater from Order of the Phoenix. I am using this pattern on Ravelry and Swish DK yarn from Knit Picks. Currently the back and 1/3 of the front is finished. This was the sweater that got me into knitting in the first place. This sweater has been quite the feat. I had to restart it twice since the first time my fair isle stranding was horrible. I am about halfway done with the body (the hood and fair isle yoke are done) before I begin the sleeves and pockets. I am using this pattern and Wool of the Andes Worsted weight yarn. It has a positive stretch so it is a little bigger than I wanted but not overly so. I have already knitted the scarf that Hermione wears in the above picture I will need to remember to post. I may also knit Harry’s sweater if I can ever find a pattern. It is going to be a busy sewing/knitting year. This entry was posted in Harry Potter, Sherlock, Tolkien, Twilight and tagged bag, bella cullen, bella swan, bilbo baggins, diy, harry potter, hermione granger, john watson, knit, replica, sew, sherlock, sweater, tolkien. Bookmark the permalink. 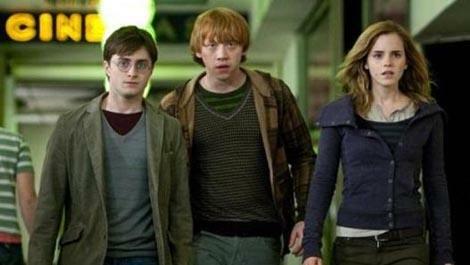 Oh, I adore Hermione’s fair isle cardigan. It has such beautiful colours in it. I have looked everywhere to try and get one like it but unfurtunatley I have found nothing:( I may have to try to knit it but my knitting skills are mediocre at best. Wish me luck!! !